Ovuplant? 2.1 mg Implantation Tablets. Pack of 5. 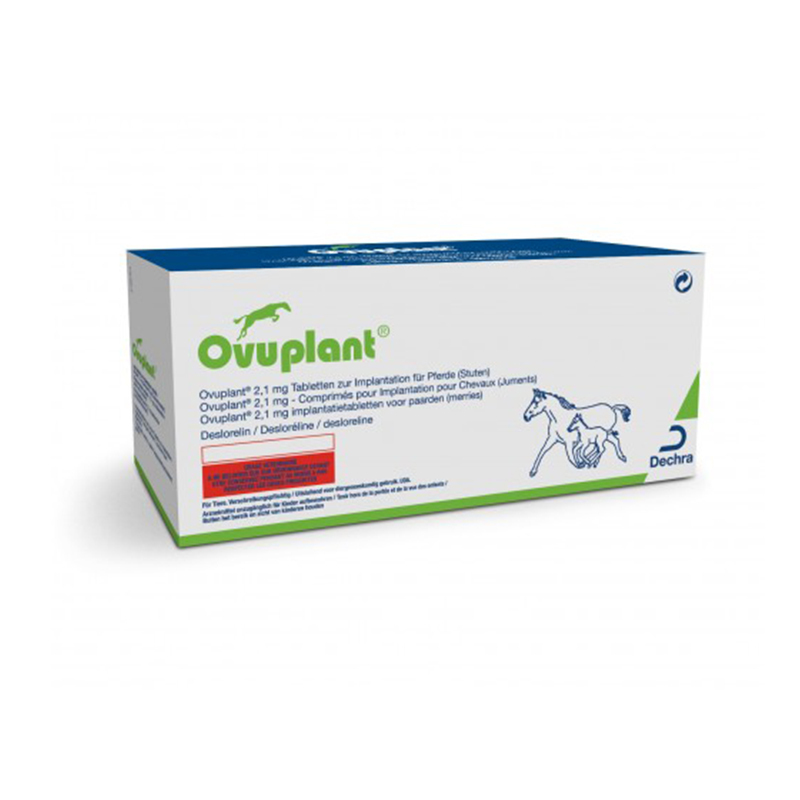 Ovuplant is used in the reproductive management of non-pregnant mares. It comes as tablets to be injected sub-cutaneously (under the skin). 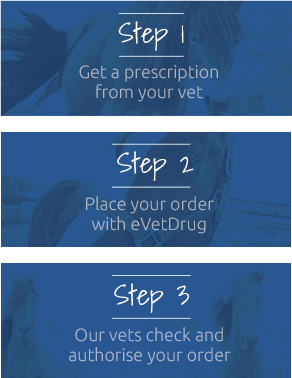 It contains Deslorelin & during the reproductive season, should induce ovulation within 48hours of implantation, in a mare who is cycling normally, with an ovarian follicle that is greater than 30mm in diameter. Mares should then be inseminated or bred wihin the next 48 hours & monitored to ensure ovulation has occured. Ovuplant decreases the length of oestrus & allows mating to be more closely synchronised with ovulation. Ovuplant Implantation Tablets should be stored in a refrigerator, between 2-8oC. Warnings & Contraindications- For each mare, only one implant should be implanted during a given oestrus. Ovuplant has not been tested in mares under three years old. Use only in mares who are fit for reproduction. Pregnant women should not administer the product. Pregnancy & Lactation- Do not use during pregnancy. Seek advice from your vet before using in lactation.